Online Gaming has grown over into a huge industry over the last few years. Games can be divided into casual, retail, virtual world and reality games. This report covered casual and retail games. Casual games are easy to learn and play and use website advertisements and subscriptions to generate revenue. Retail games in comparison, use the initial purchase to generate revenue. There are a variety of ways to earn revenue through online games from advertising to creating your own game. As the online gaming industry continues to grow, new ways of earning revenue will continue to be created and it is important to understand these new business models and how they can be adapted for our own needs. The video game industry has exploded over the last decade and is now set to overtake the movie industry in sales. With the growth of the internet, the online portion of the gaming industry has also grown and is now a significant part of the internet. In the news, we often hear of games such as World of Warcraft, Second Life and Everquest as prime examples of internet gaming. Online gaming however isn't just about virtual worlds. There are many types of online games that will appeal to different people. Casual - Where the games are simple and relatively easy to play. For example, Yahoo! Pool or online chess. Games like these appeal to users who are new to the internet or who aren't really familiar with computers. Retail - Games that come on a box that are purchased at the store and that have an online component. A good example would be a strategy game like Starcraft and Warcraft III. While you can play the game offline against the computer, you can also play games like this over the internet. Games like this appeal to people who are familiar with video games and know how to use computers. Virtual World/Massively Multiplayer - Where players are placed into a virtual world and can interact with other players. A good example would be World of Warcraft or Everquest. Games like this appeal to people familiar with computers and videos games. Reality - Reality games are online games, which take place partially in the real world. Games can consist of visiting 'real' websites and may involve real world actions like e-mails being sent to your personal inbox or recorded messages being made to your phone. A good example would be The Beast which was an alternate reality game designed to promote the Steven Spielberg movie A.I.. These categories are fluid and there are games which can include all of these categories or just one. Games are no longer restricted to just the PC. Consoles such as the Nintendo Wii and the Sony Playstation 3 both have online stores and servers where gamers can purchase games from the internet onto their consoles and play games with other people. This report, Online Gaming: Part 1 will be around casual and retail online games while the next report, Online gaming: Part 2 will cover virtual worlds, massively multiplayer games and reality games. There isn't really a strict definition on what casual games are but there are several common characteristics. Don't require a large investment in time or attention from the player. 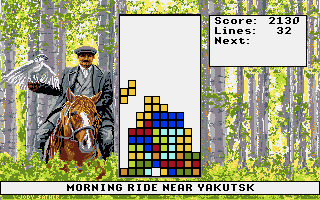 The objective of Tetris is fairly simple, you have blocks that continually drop down from the top of the screen and you need to form solid horizontal rows with the blocks. You can only move and rotate the blocks that are dropping down from the screen. Once a block has landed at the bottom of the screen or touched other blocks it can't be moved. The game itself is simple but extremely addictive. Here are some examples of casual gaming websites. Since casual games are so small, it is extremely rare for a website to contain one casual game. Most websites will offer a collection of games that can be played. A website with a large collection of games is known as a casual gaming portal. Yahoo! Games is a casual gaming portal where anyone with a Yahoo! account can play the games. 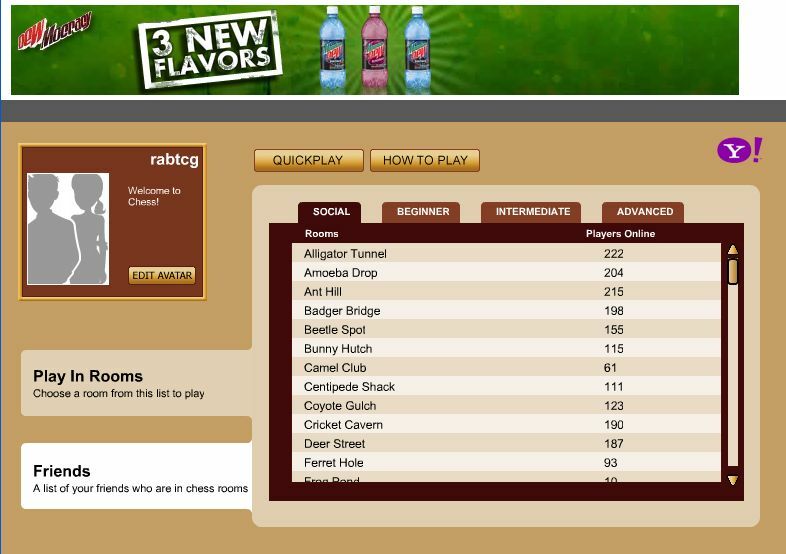 The site offers simple games like chess and poker for free while other games require purchase to play. The site also contains news related to casual games. The classic game of chess. Users are shown ad banners at the top while playing the game. A game where you try and organise a wedding. The game is based around various wedding activities but mostly around serving food to guests. There is a free demo version available to try out and gamers must purchase the full game in order to access all game features. Advertising - While playing free games users are shown ad banners promoting various products as in chess. Online game purchases - Some of the games require payment. 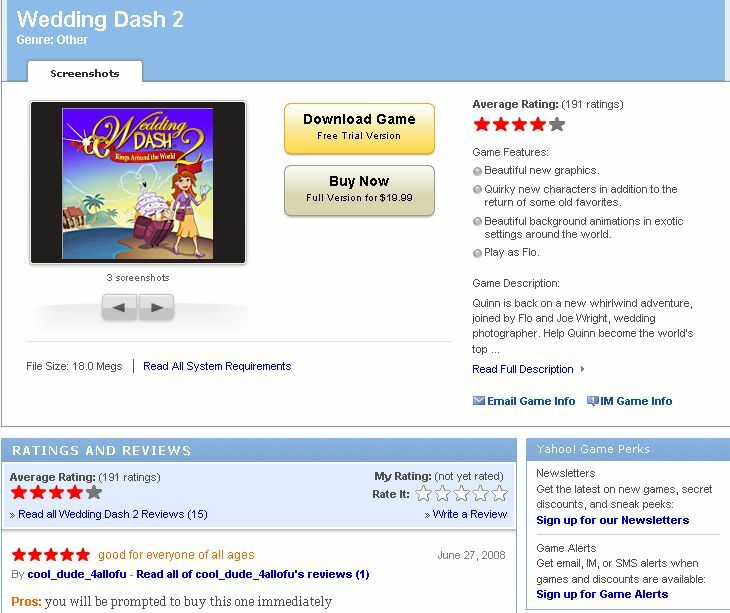 Users pay a small fee to download the game and then play the game as in Wedding Dash 2. Wii Online is the online portion of the Nintendo Wii console. When you purchase a Nintendo Wii you can connect the Wii to the internet and access the Wii Online. Wii Online is divided into channels where users can check out the latest weather reports, play the latest game trailers, shop etc.. To purchase something, users need to spend Wii Points. Wii points can be purchased via credit card or at a Nintendo retailer. With the Wii, you can purchase games which are then downloaded and stored on your Wii to be played anytime. Since the Wii's target audience is the family, the games that can be purchased are usually casual games that can be enjoyed by everyone. 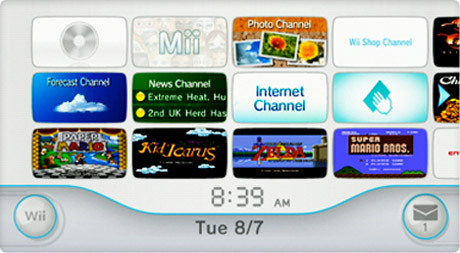 This is how the Wii Channels menu looks like on the TV. Advertising - Where game makers can advertise their latest game. Online purchases - Users buy Wii Points and then spend Wii points to download items available on Wii online. These are mostly used to purchase games although there are other items available as well. Neopets is a children's website that is both a casual game site and a massively multiplayer game site. The game is a virtual pet website where users can raise a virtual pet. In order to provide food and items to your pet the user plays games or performs actions to obtain Neopoints. Neopoints are then spent at shops to purchase the required food or items. Aside from the games, the Neopets website also has features like message boards and an internal mailing system. Features like these are similar to a social networking website such as Facebook.This is not a coincidence as Neopets was designed with a similar idea in mind. It is both a casual games site and a place to bring other Neopet users together. Neopets has been and remains one of the most visited children's websites on the internet. Advertising - Neopets has traditional website advertising like banners and ad boxes. Immersive advertising - A number of games, webpages and items are branded by corporations such as McDonald's or Kellogg's. These are worked into the game itself and become part of the Neopet world. 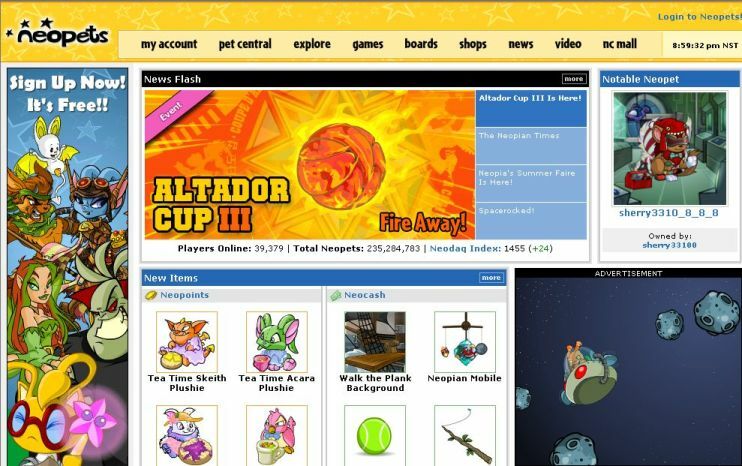 Naturally, the companies pay Neopets for their logo to appear in game.The Wired article 'The Neopets Addiction' provides a more in-depth look at the immersive advertising taking place in Neopets. Online purchases - Parents can purchase Neocard points for their children to buy special clothing and items to improve the in-game neopet's appearance. Retail games are games which can be bought in the retail store. The game comes on a CD or DVD and in a box. Players take the game home and install it. A good example of a retail game is Warcraft III. 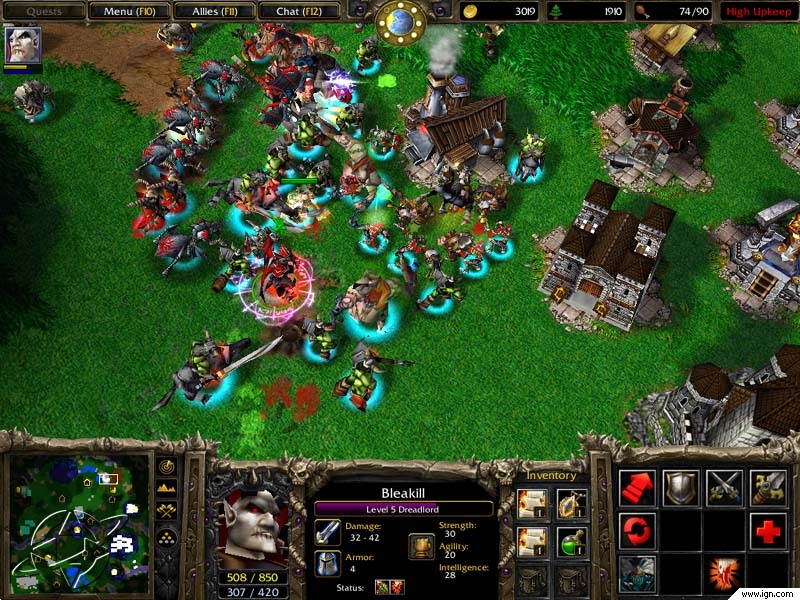 Warcraft III is a retail real-time strategy game made by Blizzard Entertainment. In the game you have build a base and train troops to attack and destroy your opponents base. Although you can play the game offline against the computer, the game is really meant to be played against other people. Warcraft III is available in a box at a store and when users install the game they need to put in their CD-key provided along with the game. This CD-key allows the player to connect to Blizzard's Entertainments game servers and play against other players online. Blizzard Entertainment provides this multiplayer service for free to those who have purchased a game. As shown below, there are even professional game tournaments where players of the game compete against each other. Game Sales - The initial purchase of the game at the store. Selling related merchandise - Blizzard has released merchandise such as Warcraft III T-shirts and caps that can be purchased by fans of the game. Licensing - The game is popular enough that many cybercafes hold it and Blizzard Entertainment has a license for such places. 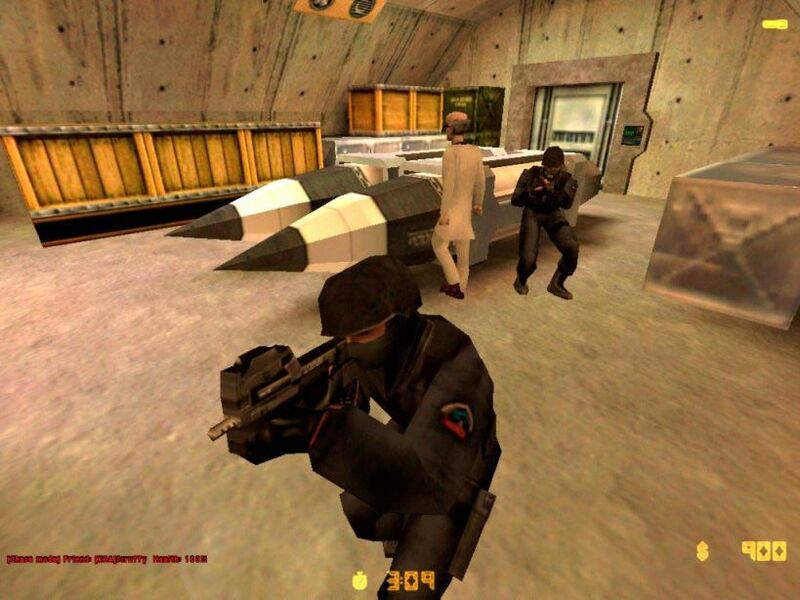 Counter-Strike is a first person shooter made by Valve. Like Warcraft III, it was a retail game that could be purchased at a store when it was released. In the game you play as a soldier and have to shoot and kill all players of the opposing teams or accomplish a specific objective. Like Warcraft III, although you can play Counter-Strike Source by yourself against the computer, it is specifically designed as a multiplayer game. The fun of the game is on going online and testing your skills against other players. Unlike Warcraft III which requires you to use only Blizzard Entertainment's servers, anybody can set up a Counter-strike server. Before any game however, all players must login to their Counter-Strike account to ensure that they are using a legitimate game 'key'. This means that Valve does not need to provide the gaming servers and only need to provide servers to ensure the 'key' is legitimate. This greatly reduces the cost to Valve. At the same time they can continue to ensure game sales since players must have a legitimate game key to play the game. In-game advertising - Valve launched in-game advertising in 2007. In the game environment itself, there are billboards and ads advertising real world products. Licensing - The game is popular enough that many cybercafes hold it and Valve has a license for such places. As the internet has become part of people's lives people are spending more time on it and exploring the uses of the internet. This has caused an increase in the number of people trying out video games. At the same time, we have a generation of children who have grown up playing video games who are now adults that can spend money. These two factors and broadband internet have created the explosive demand for video games and online gaming. As TV watching declines and the internet usage rises, we can only expect online gaming to grow in size and proportion. 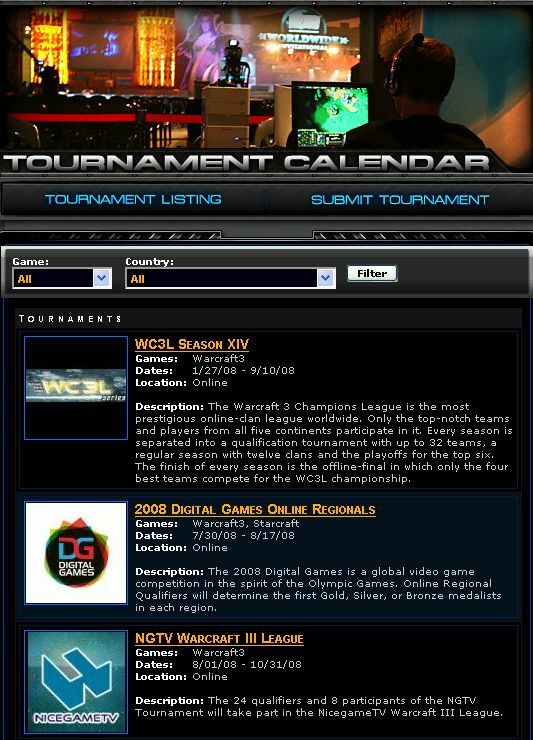 Games like Warcraft III and Counter-Strike are so popular that there are huge tournament and game competitions held around the world every year. 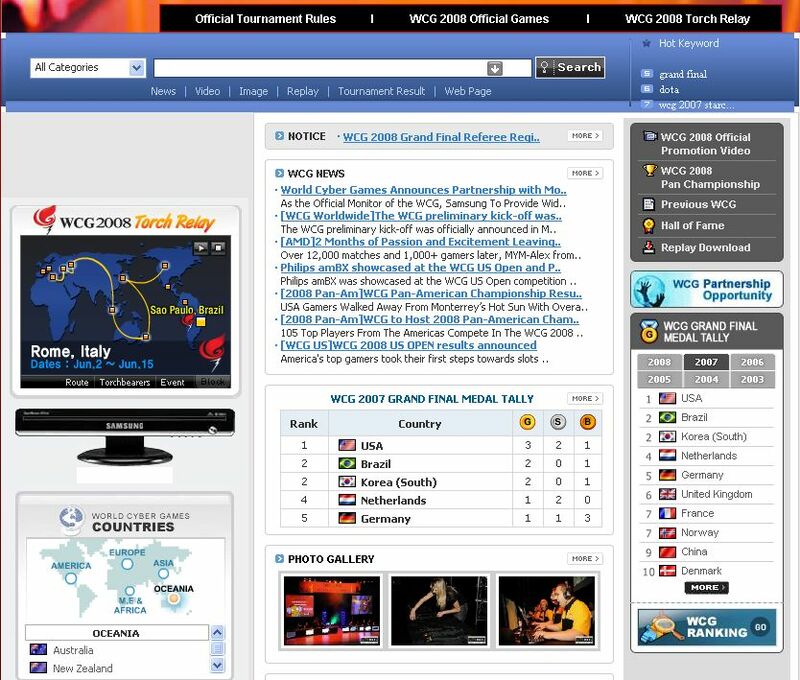 The event known as the World Cyber Games is probably the largest and most famous of the competitions and is the equivalent of the Olympics for video gamers. Just like in the real Olympics, the best from each country are sent to the World Cyber Games. Like any international sporting event there is lots of media coverage and corporate sponsorship. From events like this, it is easy to see that online competitive games and video games have become a significant part of human culture. In this section, I will be covering how gaming companies and publishers make profit from casual and retail games. I will also be covering the GameTap gaming service, which provides a new way of providing games over the internet. Casual online gaming is a huge industry because casual games are easy to pick up and play. Casual games even have their own association called the Casual Games Association which provides 'professional conferences, industry research and a magazine'. The CGA has a entire section devoted to casual gaming business models. Easy to play - Easier to attract users. Cheap to sell - Usually distributed online. Easy to clone - Because it's easy to produce, a casual game can be created (or duplicated) by anyone. Too much choice - There are plenty of substitutes for a user's attention. Too much competition - A casual game needs to be unique to really sell well and rise above competing games. In order to combat this, developers will focus on extending the 'life' of a casual game or increasing their company profile so gamers will continue to purchase more games from them. The term often used for this is 'stickiness'. The stickier the game, the more likely users will return back to play the game or to the company producing the game. Producing a completely unique casual game that is hard to copy. Creating a competitive environment where the user competes against other players. Releasing sequels, updates, improvements and extensions. Producing games that are thematically related. Integrating a game into a larger portal website like Yahoo! Games or Shockwave. These exact same points can be used when it comes to a casual game website. Easy to attract users - With a bit of advertising and word of mouth, you can easily generate traffic as you're only a click away. Games are cheap - Since it is distributed online, you only have to pay for data storage and the bandwidth. Too much choice - There are plenty of substitutes for a user's attention on the internet. Too much competition - A casual game website needs to be unique in some way as there of plenty of other casual gaming websites. Easy to leave - Users are only a click away from leaving. Hard to charge - If your website is offering a paid subscription or payment, the gaming product must be really unique because there are plenty of substitutes. Producing a completely unique environment or virtual world, like Neopets has done, where what you do in the game affects the larger 'virtual world'. Providing a wide variety of game choice. Distributing games that are of a high quality. Distributing games that are thematically related. According to Casual Connection of the CGA, portal website advertising and subscriptions account for about 60% of revenue. Casual Connect - Casual Connect is the educational component of the Casual Games Association and has an entire page for casual gaming business models. Gamasutra - A guide on what a casual game portal needs to do to increase and retain users. Casual Connect On advertising Options with casual game portal websites. The demands of gamers who buy and play retail games are much greater than casual gamers. A retail game is more expensive and gamers will demand better graphics, sound and gameplay as a result. Most retail games are created, released and distributed in the traditional way of media production. To produce and distribute a game, a game studio must find a publisher. The publisher provides the marketing tools and resources to produce and publish the games. Physical DVDs and boxes are produced and they are sent to computer game retail stores where they are sold. With faster broadband some of these games are now released online as well. Creating a retail game is a fairly risky business and most retail game studios produce several games before closing. Only several game studios have lasted more than ten years. As with music albums and movies, retail games from big name studios are often given large budgets and launched with plenty of publicity and media coverage. Smaller studios might have their game marketed virally through the internet instead. Like music or movies, if successful the game will usually be re-released as a budget title as publishers know that it will sell. As mentioned in the Web 2.0 Long Tail section, in a situation where there is limited physical shelf space it makes sense to only reproduce the hits that you know will sell. As with any hit-based industry, even if a game is critically acclaimed but isn't a commercial success then it won't be re-released. There have been some suggestions from gaming industry insiders and commentators on websites like Gamesindustry, Gamedaily and Shacknews that this retail model isn't working for studios because of the conservative nature of its retail publishers. Lacks alternative revenue streams - For example, cinema movies are released as DVDs and TV after a while to increase profit. Reduces the creative power of the studio - Because the cost of operating a physical retail store is high, publishers to prefer publish more conservative games reducing the creativity of the game studio in an effort to make their games sellable. Focused on risk minimisation - As mentioned above, publishers are more concerned with risk minimisation rather than rewarding innovation because innovation doesn't promise profits. To surmise, the retail game industry is probably closest to the existing entertainment industries, like music and movies industry. GameTap is a website that provides users Arcade, PC and console games and is funded by Turner Broadcasting System. Users download the GameTap application and gain access to the games that GameTap provides. Games include classics like Space Invaders as well as more recent retail games like Sid Meier's Civilization IV: Warlords. Being owed by TBS, the business concept of GameTap is very similar to a cable television network. On a cable television network, there are free channels, premium channels, pay per view shows and the opportunity to purchase shows on DVD. Similarly on GameTap the games are divided into free games, premium games and retail games. Free games - Free to play but ad-sponsored and requires an internet connection. Premium Games - Requires a subscription to play and internet connection. Subscription grants access to all games in the game library but you still need an internet connection and a GameTap subscription to play. Retail Games - Requires full payment to play but does not require an internet connection to play. This is the same as buying the game at a retail store. As previously covered in the Web 2.0 report, this is known as the freemium business concept where users can access the basic service for free while premium subscribers is provided with better service and their subscription subsidises the free user. As mentioned earlier, retail games that aren't commercially successful will not be re-released. With a website GameTap however, the marginal cost of adding an extra game is fairly cheap. This means that retail games that weren't cost-effective to re-release as a retail product may instead end up on a service like GameTap. GameTap's service, is a good example of how the internet has transformed a hit-based market. Vodafone itself is in a strong position with regards to casual gaming as most mobile phones are suitable for that and they already have an online store selling casual mobile games. Having Vodafone in-game banners or advertising within the game itself. Google is already testing adsense in games. Sponsoring a game for free and giving it away to users as a promotion. Sponsoring a World Cyber Games sports team. Giving away Vodafone branded virtual items in the game on a virtual world website like Neopets. Vodafone could look at extending their virtual store to include PC games as well. Providing a news feed for game reviews to increase game purchases. Vodafone could look at creating its own game to market itself. Doing so would require a great deal of thought and planning. Of course the game should promote Vodafone in some way or make use of a mobile phone in some way. Perhaps the game could be playable on the mobile phone and over the PC so gamers across platforms can challenge each other. Launching to become a full-fledged gaming site like Yahoo! Games, Neopets or GameTap will require technical expertise and serious consideration as to its feasibility. It may not be where Vodafone wants to be heading. Even if online gaming isn't the direction Vodafone is headed in, websites like GameTap, Neopets and Yahoo! Games continue to spearhead new business models and there are plenty that can be learned from their efforts. How will Vodafone position itself in the online gaming industry? Will Vodafone be a retailer of games or will it take a more active role in it? Depending on the direction it wants to take, the changes to to be brought about by this could be small or large. How can Vodafone attract more gamers? As gaming becomes more mainstream, more and more people are trying out games. For example, there used to be more male gamers than there were female, but now there are more and more woman trying out video games. How can Vodafone attract more people to play their games? How will online game advertising change? Gaming websites are always looking at new ways to advertise, how will online gaming advertising change? How will online gaming be affected by privacy laws? Online gaming can be a good way of figuring out the user better. How will this be affected by local privacy laws? What can be learnt from online gaming business models? As covered in the report, online gaming uses business models that are very different from the previous retail models. What can we learn from this? Lightspeed - On 29 business models for games. Online gaming is a huge industry and continues to grow as more people use the internet. Online games can be divided into various categories such as casual, retail and massively multiplayer. This report covered online casual games and retail games. Online casual games are usually distributed via a portal website such as Yahoo! Games and users can play games for free or purchase games for download. Retails games such as Warcraft III on the other hand are purchased in a shop and have an online multiplayer portion to them. In terms of revenue, most casual games are supported by advertising or online purchases while retail games earn revenue through the traditional way of buying a box at a retail store. There are a variety of ways to earn money from online games ranging from advertising to subscriptions. One website, GameTap provides one possible avenue for the future of online gaming where subscribers can play any retail game in the library as long as they continue to subscribe to GameTap. As the online gaming industry continues to experience change, it is important to keep an eye on the business models that both succeed and fail as many important lessons can be learnt.